Beautiful House in Rosarito near the beach. 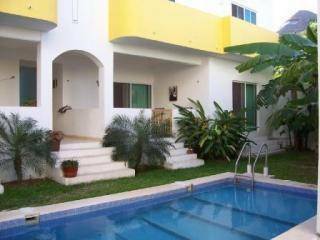 Our fabulous 2000 square foot gated-home is a two story and features a spacious tiled balcony that has a magnificent view of the ocean and beach where you can enjoy the spectacular Baja sunsets and take in the breezes off of the Baja coast. Rosarito has almost perfect climates with mild winters and balmy summers. The bottom level of the home includes a large open kitchen, with new modern amenities, a bar, living room and dining room. They all have a wonderful view of the lush outdoor garden area which features a covered gazebo area and rock waterfall. The outdoor "Fiesta" party room includes an outdoor grill, refrigerator, microwave and dining table. 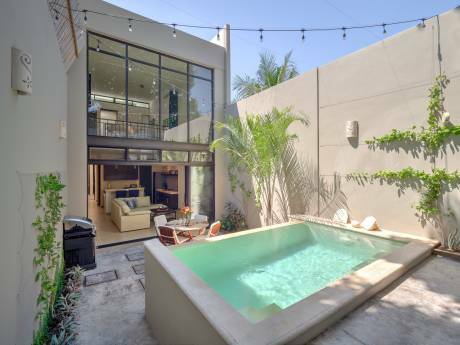 The house features Mexican artwork along with contemporary furnishings. The bedrooms are tastefully decorated with oriental fixtures. Beautiful hand-made stain glass adorns all doors in the house. We are Gary and Candis Vaughan, a couple in their early forties that love to travel. We live in Redding, CA but own this second home in Mexico. We have 6 children, but only 2 still at home that occasionally travel with us. We listed our favorite places that we like to travel to, but are open to trying something new if presented to us. 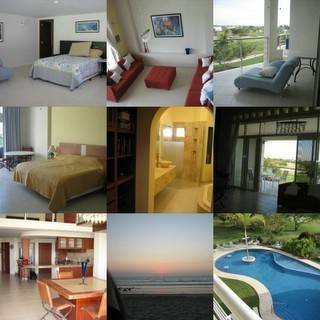 We love our "Casa" in Mexico and would love to share it with you. Our house is located only one and a half miles from Central Rosarito where you will find a wide variety of wonderful restaurants, shops and nightclubs. Fox Studios Baja is 15 minutes South. It was made famous by the filming of the Titanic, Master and Commander, and Pearl Harbour. Baja Mar is a championship golf course 15 min south with 3 nine-hole courses. Deep sea sport fishing is available out of Ensenada. Puerto Nuevo, the lobster village is 15 miles south and is a very popular mecca with scores of lobster restaurants.